Having finished as runner-up in Germany 2017, the Citroën C3 WRC produced a high level of performance again this year, despite not being able to turn its pace into a winning result. Craig Breen, who was already hampered on Friday by his position down the running order (10th), was one of only a few WRC drivers to suffer a sudden heavy shower on SS3. This rain, combined with more mud and gravel dragged onto the line as the cars ahead completed the stages, cost him a good fifteen or so seconds. His misfortune left him eighth at the end of day one. Meanwhile, Mads Østberg ended the opening leg in eleventh place as he got to grips with the C3 WRC on tarmac, a surface on which he is less comfortable. He also had a spin on SS3 and a minor engine issue in the afternoon. Despite his difficulties, Craig Breen refused to lay down arms. He staged a thrilling comeback on Saturday, the most difficult leg of the weekend, with two runs on the Baumholder military base stage and its particularly bumpy concrete roads. His charge included a fine stage win (SS11) and several impressive times. Craig Breen had in fact moved back up to sixth position and was putting the fifth-placed driver under pressure when unfortunately he made a mistake on the day's final stage. As a result he dropped down to tenth overall, just behind the improving Mads Østberg. The Norwegian's progress could be seen in his third place, tied with the future rally winner, on SS11. Sunday's leg, however, proved ruinous for Mads Østberg as the Norwegian driver went off during the day's opening test. Craig Breen quickly regained the confidence he had felt in the car on Saturday to finish seventh. He produced an excellent performance on the Power Stage, grabbing fourth place, just 4.2s behind the five-time world champion, as the battle raged between the driver's world title contenders for the bonus points available. What is your analysis of this weekend's frustrating race? Although ultimately we haven't come away with the result we were hoping for, the positive is that the C3 WRC is still competitive on the wide variety of surfaces used at this rally. You just have to look at Craig's stage win on Saturday and his performance on the Power Stage where – unlike others – he was in no position to really go for it, to see this. Yes, he produced a strong performance at times on what is one of the trickiest rallies of the season. Clearly, it's frustrating that he went off on the last stage on Saturday, but he also reacted and recovered well on Sunday. He quickly got back into his stride, setting good times again on some very demanding stages, and that's important for the rest of this season. 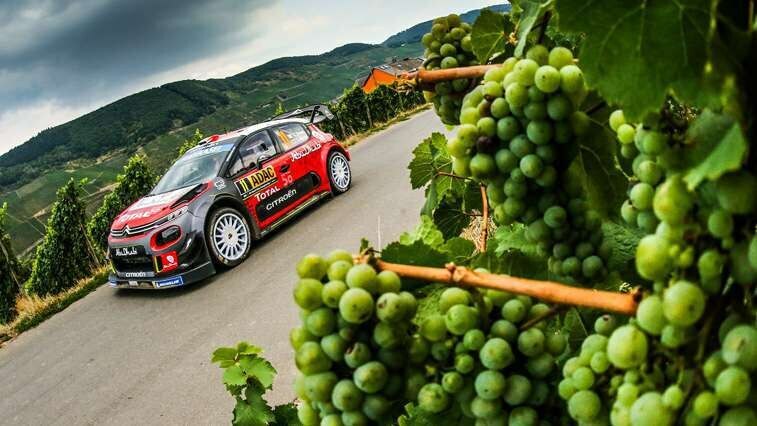 It shows that the C3 WRC is a car in which the drivers feel confident. With regards to Mads, he didn't have the same objectives for this weekend. He was on the verge of confirming his improving pace in the C3 WRC on Sunday when unfortunately he was caught out. We're not about to give up, that's for sure. We're already very much focused on Rally Turkey, which looks like it will be a completely different challenge to anything else that we currently have in the championship. Everyone will be starting from scratch there which means all the crews will be on an equal footing. We've already started working hard to prepare for it in as much detail as possible, so we can make the most of our strengths to try and secure our fourth podium of the season. Following a frustrating opening leg that left him in eighth place, due in part to a heavy localised shower over four kilometres or so on SS3, Craig Breen made a highly impressive start to day two. Determined to show off his skills on tarmac, Craig Breen grabbed the third fastest time, just eight tenths off the pace on Saturday's opening stage. The Irishman followed that up with fourth place (+6.3s) on the lengthy Panzerplatte stage, where it is essential to keep your driving clean and tidy in order to be fast and look after your tyres. 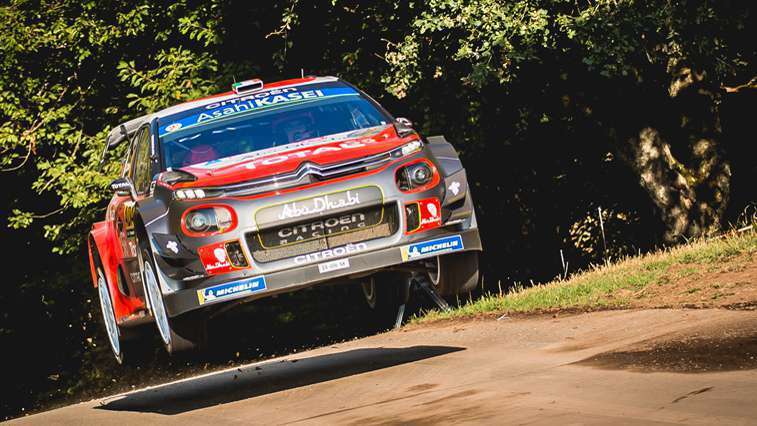 Craig Breen then finished just 3.1s off the stage-winning time on Freisen (SS10), before topping the timesheets outright on the final stage of the morning loop (SS11 – Römerstrasse), as the battle for the overall win raged all around him. In the space of four stages, Craig Breen had gone from being 30.6s adrift of the podium to just 19s behind the third-placed driver. Further proof, if any were needed, that he had serious pace this weekend.